Italy coach Roberto Mancini on Saturday named a 31-man squad which included Nice striker Mario Balotelli and five new players including Monaco teenager Pietro Pellegri to face Poland and Portugal in the UEFA Nations League tournament. 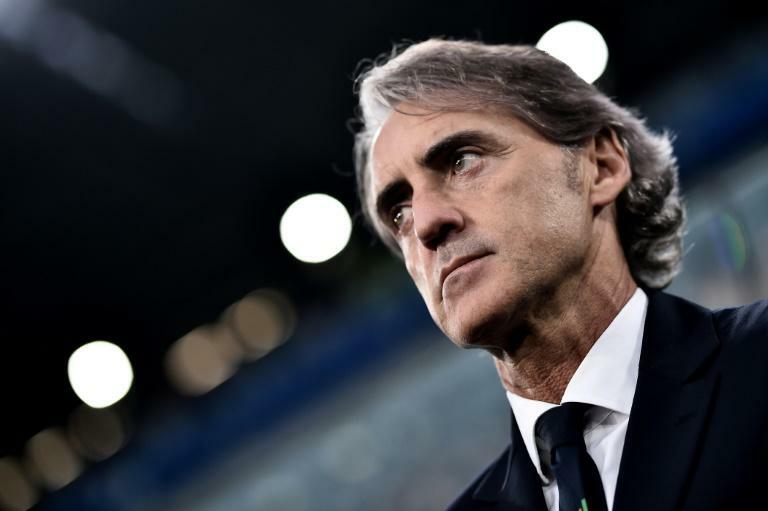 The games against Poland in Bologna on Friday, September 7 and Portugal in Lisbon on September 10 will be Mancini's first official matches in charge of the Azzurri, who failed to qualify for the World Cup. The former Inter Milan and Manchester City coach, who took over last May, had already called up Balotelli for three friendlies in June. But it will be the first call-up for 17-year-old Pellegri, who scored his first Ligue 1 goal on August 26 in a 2-1 defeat by his team Monaco to Bordeaux. Pellegri started his career in Genoa and in December 2016 became the youngest player to debut in Serie A.
Mancini also handed maiden call-ups to Cagliari goalkeeper Alessio Cragno, defenders Manuel Lazzari (Spal) and Cristiano Biraghi (Fiorentina) and Roma midfielder Nicolo Zaniolo. Juventus defender Giorgio Chiellini returns to the squad for the first time since Italy's World Cup play-off defeat to Sweden last November. Players will arrive at the national team's Coverciano training ground outside Florence to begin work on Monday morning. Forwards: Mario Balotelli (Nice/FRA), Andrea Belotti (Torino), Domenico Berardi (Sassuolo), Federico Bernardeschi (Juventus), Giacomo Bonaventura (AC Milan), Federico Chiesa (Fiorentina), Ciro Immobile (Lazio), Lorenzo Insigne (Napoli), Pietro Pellegri (Monaco/FRA), Simone Zaza (Torino).